Modern Japanese Literature is Donald Keene’s critically acclaimed companion volume to his landmark Anthology of Japanese Literature. 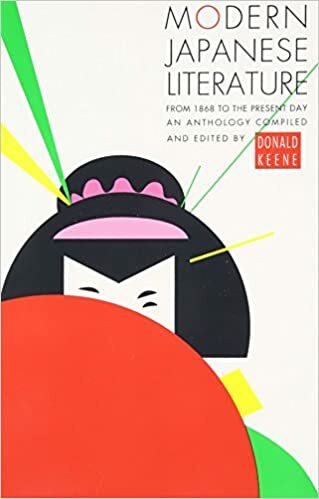 Now considered the standard canon of modern Japanese writing translated into English, Modern Japanese Literature includes concise introductions to the writers, as well as a historical introduction by Professor Keene. Includes: “Growing Up” by Ichiyo, a lyrical story of pre-adolescence in the 90s; Natsume’s story of “Botchan,” an ill-starred and ineffectual Huck Finn; Nagai’s “The Sumida River”; Kokomitsu’s Kafkaesque “Time”; Kawabata’s “The Mole”; “Firefly Hunt”; a glimpse into Tanizaki’s masterpiece “Thin Snow”; and the postwar work of such writers as Dazai and Mishima.